Prerequisite: Completion of the Advanced Specialty Certificate. Students must contact the BCIT Bookstore to order course materials. This course is for students who require an extension to complete NSSC 8600 from the previous term. Re-registration is a one-time option only. Critically reflect on the concepts, community, health, and relational practice, from multiple perspectives. Articulate personal values, beliefs, and assumptions related to communities, health, and relational practice. Describe the scope and nature of community health nursing. Examine the Canadian Community Health Nursing Standards of Practice. Analyze community health nursing through the lenses of primary health care, health promotion, and ethics. Apply contemporary culture and diversity concepts to community health nursing. 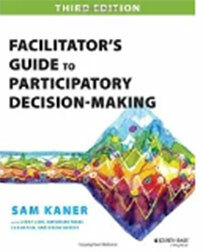 Apply fundamental participatory group facilitation skills with a chosen group. Demonstrate effective participatory dialogue with a group about perspectives on relational practice in health care. Interested in being notified about future offerings of NSSC 8600 - Community Nursing: Facilitating Health? If so, fill out the information below and we'll notify you by email when courses for each new term are displayed here.